Home > Candy's Cake Pop Blog > Valentine Cake Pops Coupon Code! 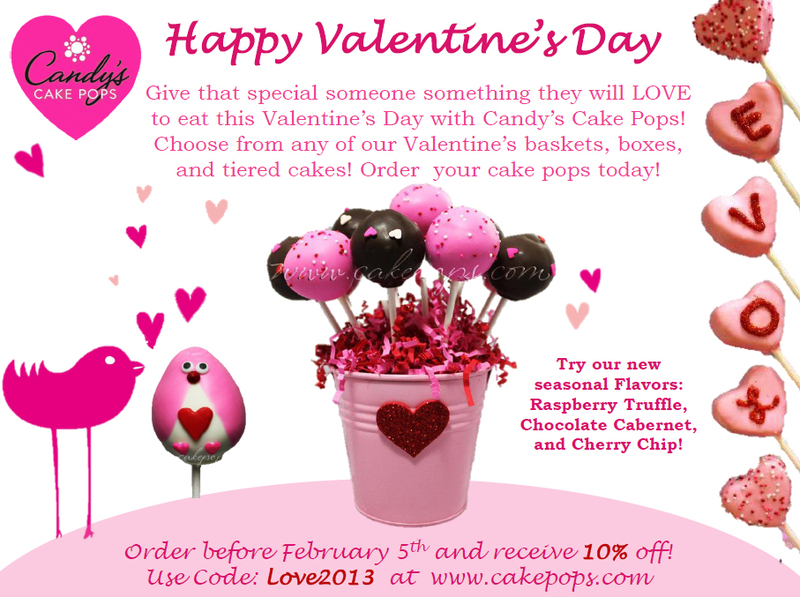 Valentine Cake Pops Coupon Code! Valentine's Day is right around the corner! We have 3 additional Cake Pop flavors to our regular mix up: Raspberry Truffle, Chocolate Cabernet, and Cherry Chip! Make sure to use coupon Code Love2013 at check out to receive 10% off your order made online. We ship these yummy treats nationwide!